[August 15th, 2014] Lt. Col. (Ret.) 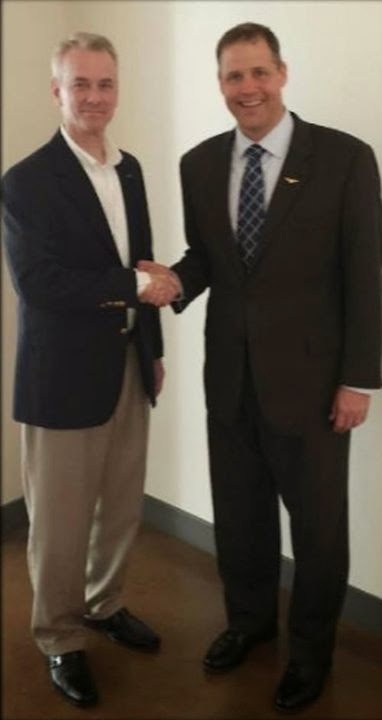 Steve Russell, GOP Candidate for Oklahoma's 5th Congressional District, is proud to announce the endorsement of Oklahoma's First District Congressman, Jim Bridenstine. "I am honored to endorse fellow combat veteran Steve Russell for Oklahoma's 5th Congressional District," says Bridenstine. "I believe military experience is badly needed in Congress, and LTC Russell understands firsthand the sacrifice required to defend the Constitution." Steve Russell says he is honored by the endorsement because Congressman Bridenstine understands the crisis America faces. "With our declining veteran population in Congress, we need experienced warriors to help guide the country and defend our constitutional liberties. I'm looking forward to fighting for Oklahomans right alongside Iraq and Afghanistan combat veteran Jim Bridenstine." Congressman Bridenstine hopes voters will make the right decision by sending Lt. Col. Steve Russell to Congress. Decorated for valor in battle, award-winning conservative lawmaker, acclaimed author, and owner of a rifle manufacturing business, Steve Russell brings the skills we rarely see these days. That is why 5th District voters are working hard to send this constitutional conservative warrior to Washington.